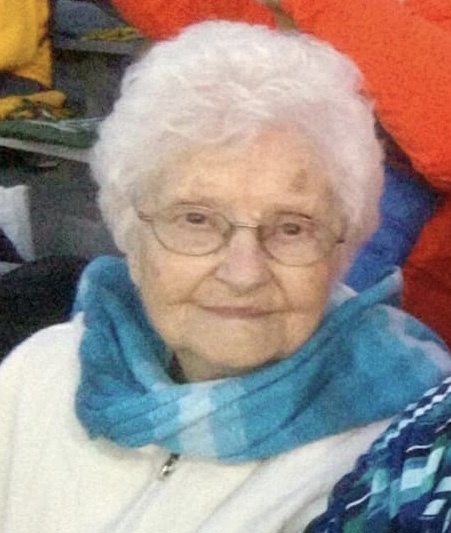 Mary Maxine Fouts 95, of Nashport passed away on Saturday March 16, 2019 at her residence surrounded by her loving family. She was born in Lebanon, Indiana on July 31, 1923 to the late Leonard and Clella Apple Hayes. She was a wonderful housewife, mother, grandmother, and co-owner of Dale and Maxine’s Lawn Care. She is survived by her six children: Phillip (Jan) Fouts, Linda (Darrel) Muhleman, Steve Fouts, C.J. Fouts, Rex (Marcia) Fouts, and Lesa (Gene) Starling, two sisters: Janet (Warren) Jones and Carol Keck, two daughters in law: Karen Gengler and Gail Fouts, 16 grandchildren, 37 great grandchildren and four great-great grandchildren. In addition to her parents she was preceded in death by her husband Dale Fouts, a son Fred Fouts, two brothers Robert Hayes and Charlie Haye, and a sister Marjorie Carnine. A graveside service will be held at a later date in Orion, Illinois.